ILF Webinar Recap: talking Rivers and River Restoration! Did you miss our latest webinar? Good news: all the Iowa Learning Farms webinars are available to watch (or to re-watch) here. The latest webinar was a great one! Rosalyn Lehman of Iowa Rivers Revival and the Iowa DNR’s River Programs Coordinator Nate Hoogeveen discuss rivers and river restoration. Rosalyn and Nate are full of interesting information and bring with them photographs that do a fantastic job depicting the conditions and practices that Rosalyn and Nate describe. By the end of this webinar, you’ll feel like you’ve traveled quite a few waterways and gained a vivid understanding of the challenges facing our rivers as well as the effort involved in restoring them. Watch Rosalyn and Nate today! Any other webinars you missed? Take a look at the archive and see what you might be missing. 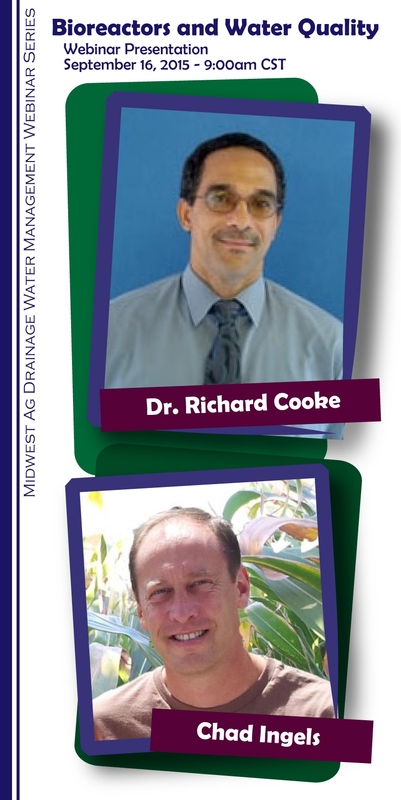 On the latest webinar, the Iowa Learning Farms teamed up with the Midwest Ag Drainage Water Management series to discuss Bioreactors with Dr. Richard Cooke, Associate Professor in the Department of Agricultural Engineering at the University of Illinois at Urbana-Champaign and Chad Ingels, Iowa State University Extension and Outreach watershed specialist and northeast Iowa farmer. This dynamic duo gives us a real one-two punch of information about bioreactors! Cooke offers an expert view of bioreactor design and theory. He also gives us a look at some potential tools on the horizon that offer insights and projections about bioreactor use. Ingels brings his experience in farm communities installing, trouble shooting, and managing active bioreactors to the discussion. Between these two, you are sure you learn something new about Bioreactors! 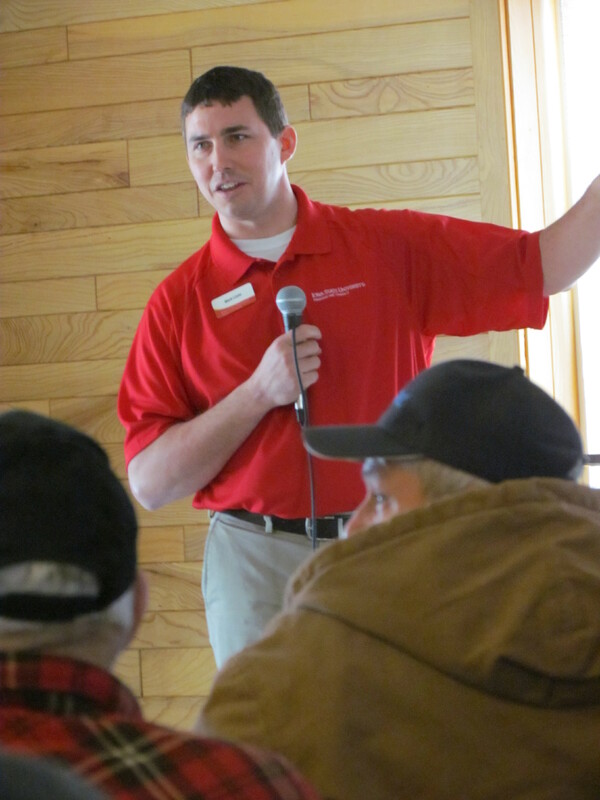 Cropping Systems Agronomist Mark Licht is an old friend of Iowa Learning Farms. In fact, he and Jacqueline Comito were once Iowa Learning Farms co-workers! In the latest Conservation Chat, Mark reunites with Jackie for some conversation and laughs as they discuss Iowa agriculture. ISU Extension and Outreach cropping system agronomist Mark Licht. A farm kid from near Fort Dodge, Mark is a natural fit to go out and talk with farmers about productivity and conservation. Mark understands that trust is essential to getting out the word about conservation and he sees productivity and conservation as complementary goals. Together, Jacqueline and Mark talk about the challenges to Iowa’s future and how to steer Iowa’s agriculture to a healthy and vibrant future. You are welcome to join this Iowa Learning Farms reunion! Sit back, relax, and listen to the full conversation here! Today NASA’s New Horizons spacecraft gave us a rare treat, traveling closer to Pluto than ever and returning with stunning photographs. Like many others, I am filled with awe and wonder at these sights. 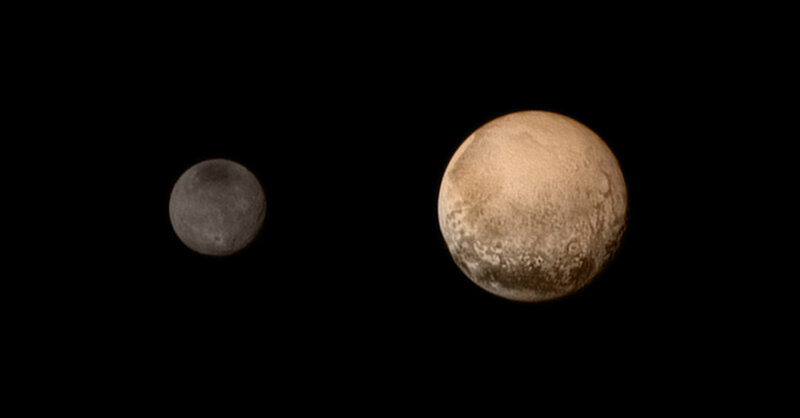 Looking at the starkly beautiful surface of Pluto, one can’t help but appreciate the contrast with our own world. As part of my job, I read a lot about water and soil. These two incredible natural resources are truly what makes everything on our world possible. Without them, we simply could not thrive on this planet. How are we caring for our soil and water? How long will these resources last? Will our planet continue to stand out as an emblem for life, or will it eventually come to resemble the barren landscapes that we see across the rest of our solar system? As we stand together in awe and wonder at this exceptionally close glimpse of Pluto, let us not forget that our own planet craves our attention, too. 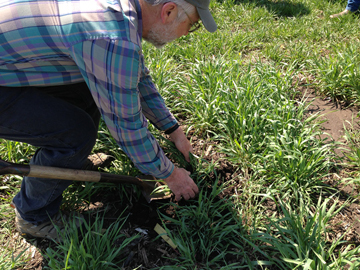 In the latest Conservation Chat podcast, Jacqueline Comito catches up with Donna Buell at a field day promoting cover crops and prairie strips. Donna Buell has a long history with agriculture and environmentalism, including serving on the Iowa Environmental Protection Commission. In a fascinating and far ranging discussion, Donna Buell and Jacqueline Comito touch upon the pressures on farmers, the pressures on female landowners, as well as the challenge in transitioning to organic. Donna takes a long view with agriculture and the environment, finding hope for the future in our new appreciation for traditional agricultural practices. Donna is especially excited by the environmental message she hears coming from the Pope and what that means for our future on this earth. Listen to the full conversation here! 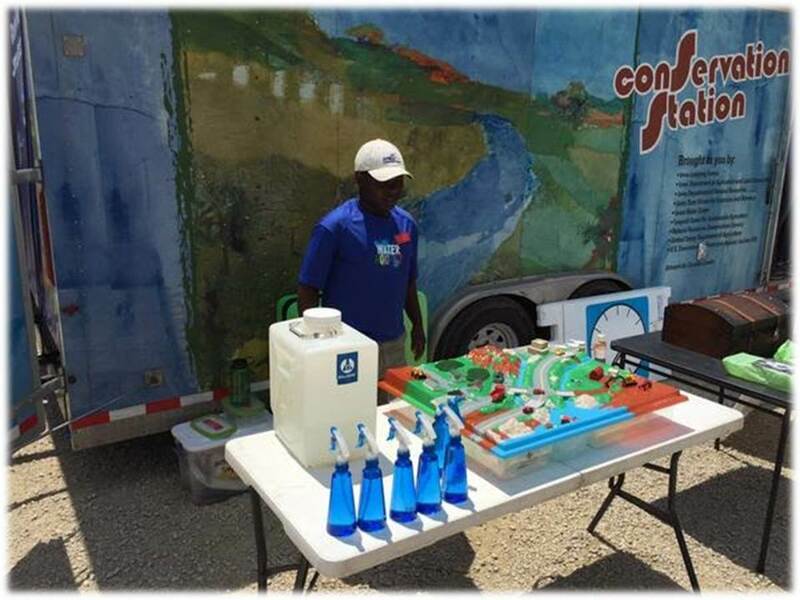 Today’s guest blogger is Iowa Learning Farms/Water Rocks! student intern Pacifique Mugwaneza Simon, or Pac for short! Pac is a fourth year student at Iowa State University studying Industrial Technology and Agriculture Systems Technology. His family is originally from Burundi, a small country in East Africa, but Pac spent most of his childhood in refugee camps throughout Rwanda, Congo, and Tanzania. He has lived in the United States for almost eight years. Growing up in a different part of the world, I saw first-hand how agriculture and natural resources are vital to everyone. A large percentage of people in Burundi depend on agriculture, but there are many problems. The amount of land available is scarce, while the quality of arable land is diminishing through over-use and erosion. To make things worse, about 60 percent of the population still doesn’t have access to clean water because they don’t have anyone who can help them understand how to properly care for and use the available water. I decided that I would do my best to educate as many as I can about water quality. When I began looking for an internship, I could not find one that seemed like a good fit. Then I discovered the internship opportunity with Water Rocks! and Iowa Learning Farms. Since then, I have been working with an awesome group of people who have such a large depth of knowledge and understanding about our environment and who do their best to help keep the earth as it should be. Throughout the summer I have been busy doing field work, such as collecting lysimeter samples and soil samples. We have also been doing many outreach events, where we go out to different parts of Iowa and try to teach the people of the communities, and hopefully, in turn, they will help each other with local conservation practices. I can honestly say I enjoy doing everything this internship has to offer me, especially the outreach events! I like talking to the local youth about conservation in their community. Recently, I went with our team to the Howard County Fair. It was one of my favorite outreach events because we had a lot of fun and when we were done we walked around and explored the different types of food the fair has to offer! Pac and fellow intern Sam at the Howard County Fair. Since joining the Water Rocks! and Iowa Learning Farms team this summer, I have seen what is best for us and the environment and what is not. I hope to one day return to East Africa, to Burundi, so that I may impart what I have learned. I want to help the people to work together to improve their soil and water quality. I want this not only for agricultural success and clean drinking water, but to help keep the earth healthy as well.